Wisdom of Life. : Speak from the heart or to speak like an Actor!!!! Speak from the heart or to speak like an Actor!!!! 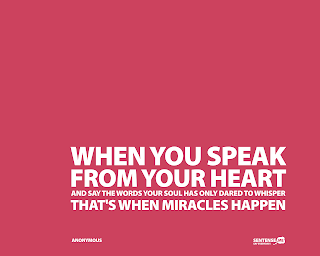 On my recent post, The Art of Talking, two ladies forwarded their intelligent questions to me..
My dear Robert, 'its only words, words that I have, to take your heart away' remember this Bee Gees song. 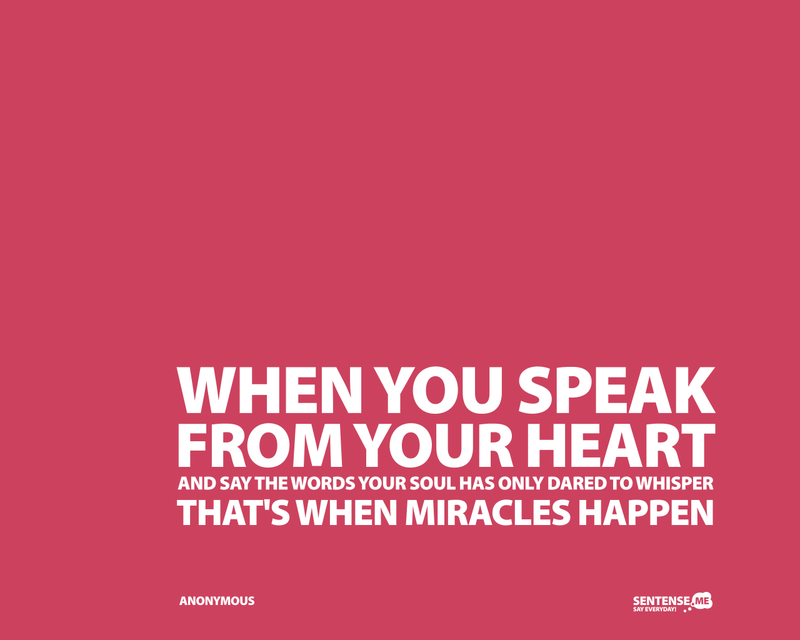 I believe word are truly powerful when said with heart, not just with your lips! If you can pretend very well, like the Casanovas of old, you can still make the kill but not for long! One day the lips will slip and the lies spilled for everyone to see.Your views please! I replied them in short.. I always speak from the heart but gradually I learn to speak better than Actors. Because Actors never speak from the heart. Speaking from the heart is always touching but one still needs to master the use of words to have better effect to touch another heart. Today I add more for everyone. If you can't speak with the heart, please learn to speak like an Actor. Though Actors don't really speak with their heart, their good performance on speaking and acting are still accepted when people pay to see them on shows. If you are not prepared to speak sincerely at heart, and also not prepared to learn to speak well like an Actor, then most likely you would have to apply the physical action part of yourself to prove your respect and value. Workers have to use their hands to survive, while the thinkers utilise their voice to move. Thank you for commenting the truth of your heart. You have a pair of beautiful eyes, add a bit of love and magic will appear in front of you my dear.